November 10, 2009, The Irish Aviation Authority (IAA) report the October flight statistics offer little room for optimism as the downward trend in traffic continues. On the North Atlantic, which accounts for approximately 70% of the IAA's revenue, traffic is down 5.5%, while winter capacity for 2009/2010 has been cut by many of the major airlines which operate on that route. The Irish Aviation Authority (IAA) is a commercial state-sponsored company which was established on 1 January 1994 to provide air navigation services in Irish-controlled airspace, and to regulate safety standards within the Irish civil aviation industry. As airlines struggle in the current economic environment, many are announcing losses and or a drop in passenger revenue. 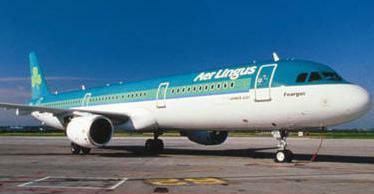 These include Aer Lingus, British Airways and Finnair while the Association of European Airlines is predicting an operating loss of €2.9 billion in 2009 for its members, 50% more than in 2008. Meanwhile IATA, the International Air Transport Association, has stated that it expects the industry to lose $11 billion this year. Given the difficult times that are being endured by the aviation industry, the IAA has introduced a number of cost containment measures to minimize the increase in its user charges for 2010. By undertaking these measures, applicable under a cost recovery scheme, the Authority has managed to reduce a forecast increase of 17.5% to approx 3.9%. En route operations (over flights) were down -5.5 % on October 2008. North Atlantic Communications flights were down -5.7% % on October 2008. Commercial Air traffic movements at the State airports were down on October 2008, as follows, Dublin -17.9%, Shannon -14.1% and Cork -25.8%.